Observation reveals journey as the constant evolution of goal. 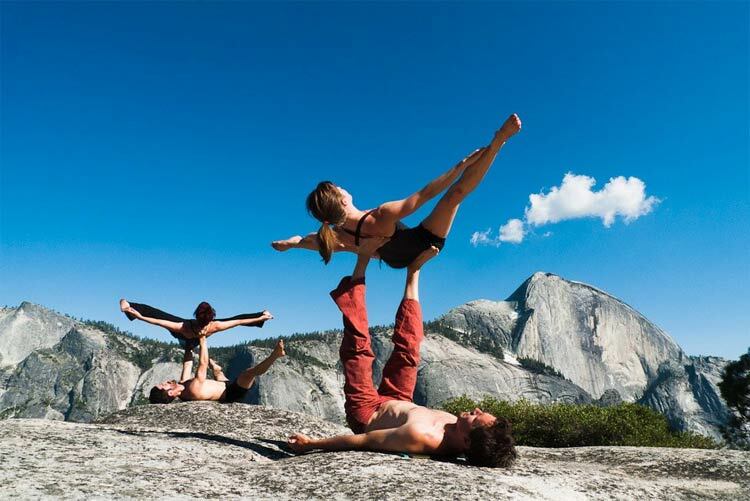 In AcroYoga, series of constantly repeating postures are known as Washing Machines. Cyclical in nature, these seamless flows of balanced partner movement is the result of effectively synchronized intention and action. Something Happens. Energy is expended and transforms from potential to kinetic. Movement occurs, shift happens. Spark catches fire, and heat is created. Changes affect and effect. Reaction is immediate and done without thinking. Response is thoughtful, although not always fully thought-out. Both are borne from action and therefore unavoidable. Stimulus becomes feedback. As information about the current state of affairs is gathered, learning can possibly occur. The steps are certainly connected, equally linear and simultaneous. The first three are pretty straightforward. It’s nigh impossible to do anything without them. Acting upon an intention to learn (about AcroYoga, for example), you decide to look for articles online. You are reading this article as a result. Step Four, however, is where life blossoms into more than just a perpetual feedback loop. Observation is receptive listening that creates knowledge through experience. Consider it reflection without judgment (which is really just intention-fueled observation, if you think about it). Gain valuable perspective on your current landscape by reviewing the nature, pattern, and habits of the first three steps. Manifest the destiny of your desire by expertly developing the skill for sensitive observation. Build trust in the ability to consistently land on your feet while helping others to do the same. Share your positive intentions through thoughtful action and exciting result… by sharing this guide with someone you love. What intentions have you observed in your actions lately? What was the result? Share in the comments below!